I’ve watched a lot of Christmas horror movies in my day. I’ve watched a lot of shark movies too, so when I heard that a movie called Santa Jaws was premiering on SyFy, well, I was obligated to tune in. Now I love Christmas horror and shark films, and there are some great Logan titles from both of those categories, however, there’s also a lot of bottom of the barrel schlock to be found. That’s all to say that when I sat down to watch this mashup of the two I tried to do so with zero expectations — which, if I’m being honest, is hard to do with a movie called Santa Jaws. Cody, played by Reid Miller who looks an awful lot like Edward Furlong circa 1991, is your typical teenage comic book fan. 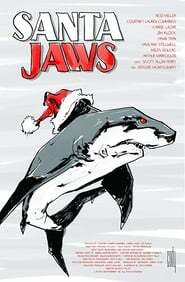 He and his best friend Steve (Hawn Tran) have created a new comic called Santa Jaws just in time for the holiday season. The film opens with the two sharing the The Cabin new book with their local comic book guy, Clark (Scott Allen Perry), as they prepare for the comic book store’s big Christmas Eve party. In a move that we can all relate to, Cody is dreading having to spend any holiday time with his family and is using this comic party as his escape. Unfortunately, the day before the big party Cody’s mom gets a call from the school principal. It seems as if Cody drew an offensive drawing portraying the principal in an unfavorable The Tribe manner and shared it on social media. Cody gets grounded for a week and that means no Christmas Eve part at the comic book store. Rats.